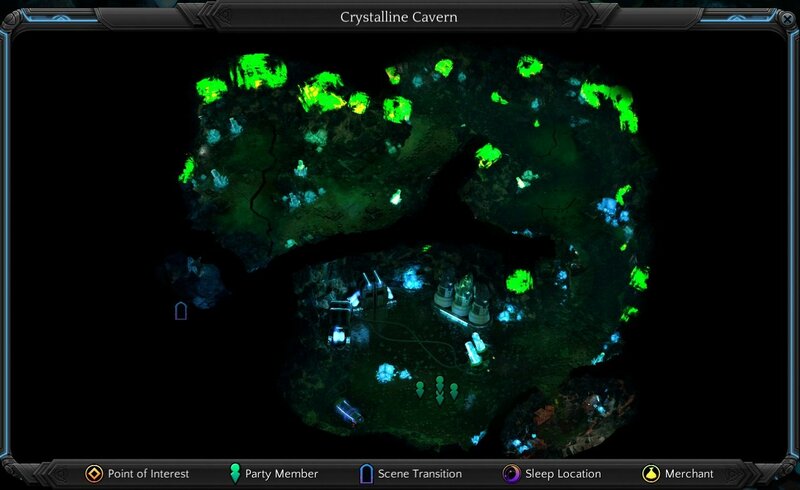 Crystalline Cavern is a location in Torment: Tides of Numenera. To acquire the Magmatic Annulet you need to shut down the energy field. Interact with the machine, if you have Anamnesis skill you may try to recall the instruction of it. Pushing the glyph that looks like a bolt of lightning can power on the stasis pod. Then you can read notes left by Changing God. In his notes, he mentioned the way to turn off energy field is "the three geodesics through the barycentre are the key." That meansdraw a line from each of the three symbols to the other. curving the rune in the centre. (May require Lore: Machinery)Or you can try to destory the machine and generator. Behind the energy field, interact with the machine inside, touch your tatto to acquire Magmatic Annulet.